Nicholas Brendon was arrested recently for causing a disturbance at a hotel in Idaho where he was attending a comic festival. He has apologised for his behaviour on his Facebook page, claiming it was due to mixing alcohol with prescription drugs. He has told his fans that he intends to return to rehab so he can get the help he needs. 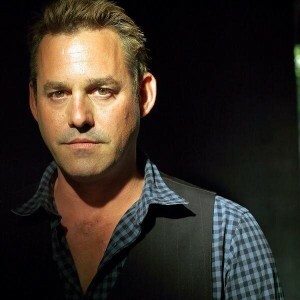 Most people will recognise Nicholas Brendon for his roles in Buffy the Vampire Slayer and Criminal Minds. He has also appeared in a number of movies including Demon Island, Unholy, My Neighbour’s Secret, and Coherence. He took up acting at age 20 in an attempt to manage his stuttering problem. It was just a hobby, as he was training to be a doctor. At age 25 though, he was offered the role of Xander Harris in Buffy the Vampire Slayer, at which time he decided to make acting his full-time career. Nicholas’s addiction problems first hit the headlines back in 2010 – although he had been in a rehab for alcohol abuse back in 2004. The police arrested him in 2010 for being drunk and disorderly – he was so aggressive at the time that the police had to use a Taser on him. He was later charged with resisting arrest and three other misdemeanours including vandalism, receiving a one year suspended sentence. Nicholas admitted that his unacceptable behaviour was due to his addiction to alcohol and sleeping tablets, so he made the decision to go to rehab. It appears that Nicholas’s first stint in rehab was not enough to allow him to build a good life free from addiction. He recently commenced on medication to help him deal with a cyst that had grown behind his knee. Nicholas blames the fact that he mixed this medication with a lot of alcohol that caused him to behave so wildly at a recent event he attended. He is believed to have become mixed up in an altercation with the staff at the hotel, which became so heated that they felt it necessary to call the police. When the cops arrived, Nicholas was uncooperative and tried to flee the scene, so he was consequently arrested. Why is Nicholas Brendon in Trouble Again? It does sound reasonable that Nicholas’s behaviour was due to mixing alcohol with prescription drugs, but the question has to be one of why was he drinking in the first place? In the past, he admitted that he had problems with alcohol, and this is not the first time he has been in this type of trouble. In Alcoholics Anonymous, it is common to hear members remark that “bad things did not happen every time I drank, but I was always drinking when the bad things happened” – hopefully, Nicholas will gain insight into this connection as well soon. It is a shame that Nicholas has not been able to overcome his addiction problems despite already been in rehab twice. The reality is that this is a fairly common pattern for those who struggle with this type of problem. What happens is that individuals end up in a bad state due to alcohol or drugs, go to rehab and get better, feeling so good that they end up abusing alcohol or drugs again. It can take a bit of time before the person full accepts that he or she is never going to be able to use these substances safely again. The fact that Nicholas Brendon is returning to rehab is great. In order to get the most from this programme though, he will need to approach things differently than he did the past. It is important that he treat this as his last chance for a good life free of addiction because it could well be just that.